Are you ready to face the toughest job market in a generation? How will you compete with the thousands of unemployed workers with significant prior experience willing to take an entry-level position? The world has changed…and that change has not been good for you. FACT: Jobless rates for college graduates has doubled in the last two years. FACT: Over 2 million graduates are unemployed. FACT: Only 19.7% of graduating seniors landed a job before graduation. 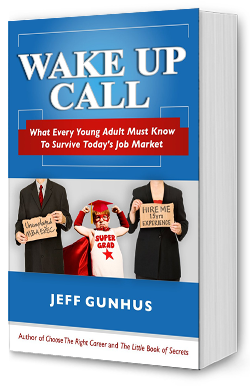 WAKE UP CALL delivers the tools you need to survive today’s job market. – Understand the long term impact the economy will have on employer attitudes…and how to turn it to your advantage. 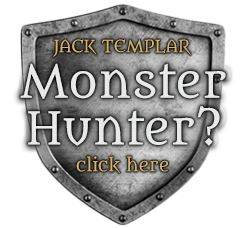 – Transform yourself into a superior candidate once you know the skills employers really want. – Ace any interview with proven techniques guaranteed to get you noticed. Whether you are a freshman looking for an internship, a graduating senior searching for a career, or someone who just never seemed to get their life going, you need every possible advantage you can get in today’s job market…and you need it now. WAKE UP, smell the recession and let’s get to work. “If you are a parent looking to encourage your students to excel, read this book.